Muzeul Textilelor, Building A - Baita, No.21, Hunedoara County. 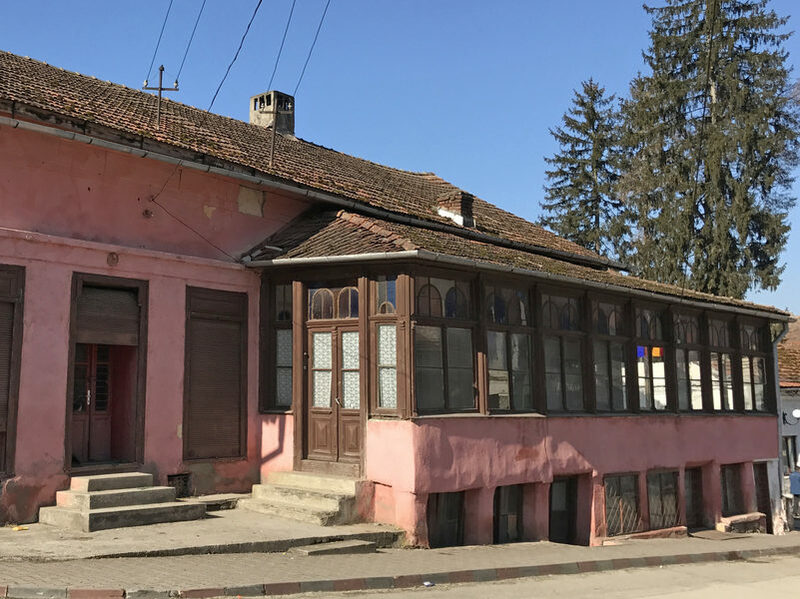 Built in 1857 by the merchant Gheorghe Bartos, a founder of ASTRA, this was one of the most important buildings of Baita at the time. It is composed of seven rooms and a veranda on the main level, and six vaulted rooms on the half-ground level. During the Communist era, the house was partly a private residence and partly used for local commercial needs and occasionally for school. The building needs restoration. The challenge will be to preserve all the original architectural detail of the house, yet create conditions appropriate for modern display. At this point, after documenting everything, all additions made during the Communist era have been eliminated from the half-ground level. During the process, the original painted ceiling in one of the vaulted rooms was discovered. After the restoration, the Museum Buiding A will be display areas for pieces from the Muzeul Textilelor’s collection. The currently gallery in Building B will become a conference room. 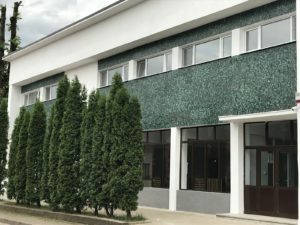 Muzeul Textilelor, Building B - Baița, no. 20, Hunedoara County. Building of the former general store, with two levels. Includes the conference room (until the restoration of the Location A, is it the gallery for temporary exhibitions), an Art Café, a lab for the conservation, restoration and scientific investigation of the collection, and administrative spaces. Muzeul Textilelor, Building C - Hartagani village, no. 434, Baita, Hunedoara County. Tripon Petru, the man who dated the earlier constructions, was a carpenter. His craftsmanship is noticeable at various levels of these buildings. The Muzeul Textilelor collection includes two loom reed holders signed and dated by him, 1913 and 1914. 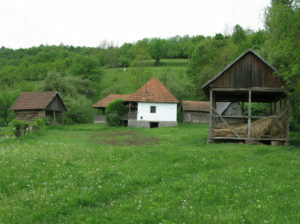 The farm was inherited by Petru’s daughter, Veta. She married Popa Aron. Together they built the summer house in 1936. 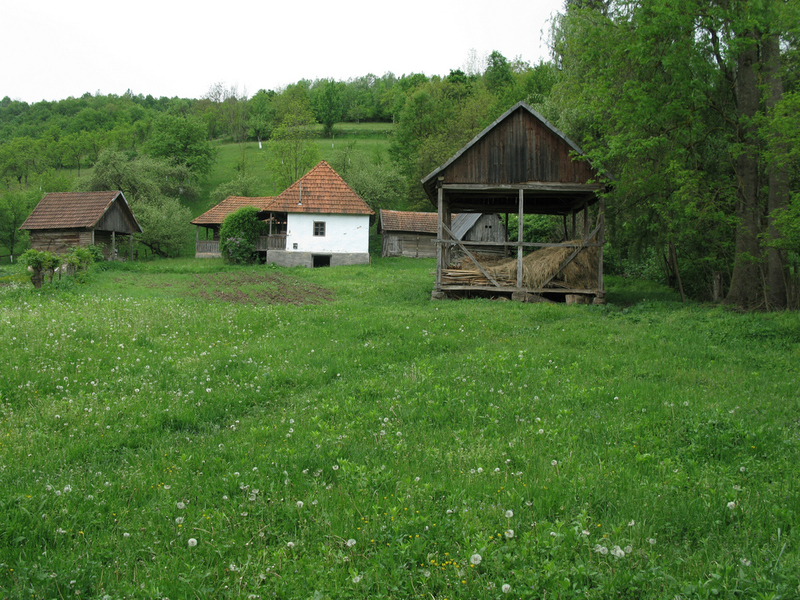 One of their two sons, Popa Nicolae inherited the farm. After he died, his wife Victoria, and his brother’s children, Dorin and Elena, inherited the farm. The large barn was demolished, and the main house was earmarked to be transferred to another location. 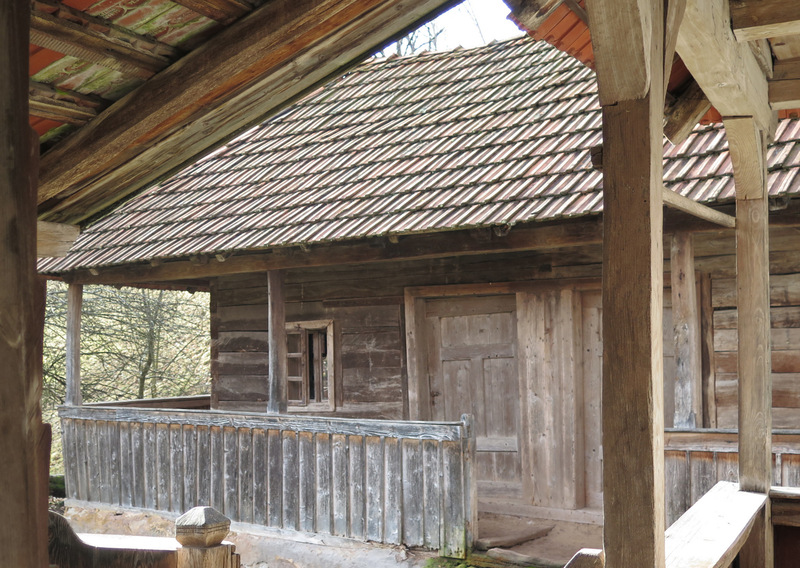 In 1998 Florica and Romulus Zaharia purchased the farm just in time to save the main house from demolition. 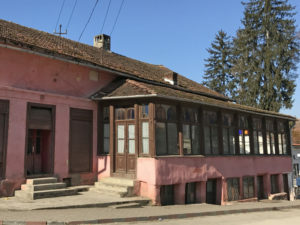 This farm house, Muzeaul Textilelor Building C, is the place where textile production typical of the region will be available to be seen and researched in its traditional context.